We’re a team of two developers that some of you might recognize from before. 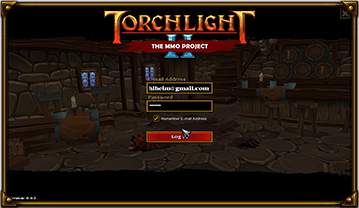 We previously worked on a project that set out to recreate the entire Torchlight client from scratch. Runic approved it and receiving their blessing ment a lot to us. You can read more about that project in the original topic. 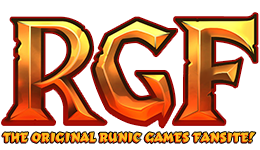 We now reach out to Runic and the community again to announce our new project. 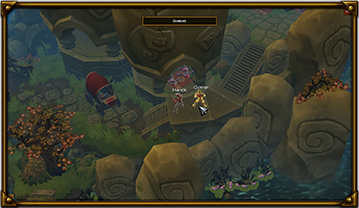 We’re creating an MMO version of Torchlight 2. 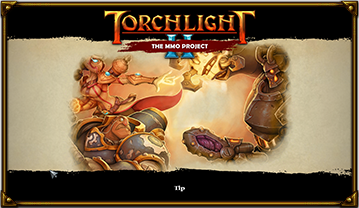 We got inspired by the Torchlight Multiplayer project. We’ve been working on it for about a year. 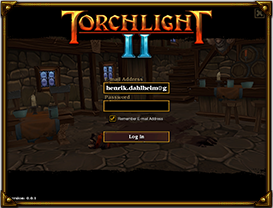 We started by recreating the Torchlight 2 client and then spent the majority of the time creating a server for it. 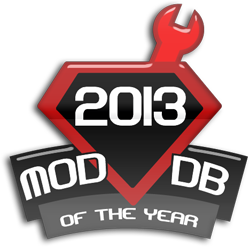 The server architecture has been stressed and proven to support a great amount of players. We would like to know if there is any demand for such a project. We’re especially interested in knowing what Runic thinks about it and if they will approve the further progress of this project. 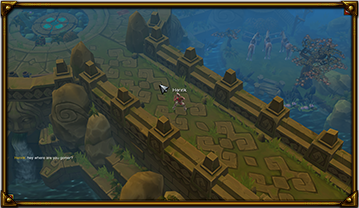 We have great respect for Runic and very much enjoyed both of their games and this is our way to give back to the community and keep this fantastic title alive. From what I read/saw in the pre-alpha video, you have found some way to create a server-client multiplayer for TL2. If that's the case, there is plenty of interest/demand for such a project. Although I think the interest is in the form of a lobby based system over a Persistent World. Posting to monitor thread. Amazing work guys! I would play something like that. I love tl2 and it would be awesome to have a lobby like area(kind of like phantasy star online did) or even big open worlds where you could go where ever. I'm the second developer on this project and I'm glad to see that there is interest for this community project. It'll be our pleasure to share our progress and to have everyone help with testing and tips. We got the go-ahead from Marsh for our previous project. The only thing our license agreement says is you can't make money off of it. Other then that you are welcome to use all our assets for whatever you like. Love to see it when it's finished! Do not disappoint me when we meet in battle. Yes I think there would be lots of interest. Personally I believe it will encourage a more active online playing community among the casual gamers like me. I think how Runic Games envisioned and implemented the multiplayer Torchlight game is excellent, but I also think the lack of online coordination tools makes it too difficult to set-up games among online-only friends (people you only know from online, as opposed to people you can call on the phone or skype with to set up a game). I know I end up playing in SP mode because of this. I also think, if there were Vanilla-only servers for a MMO Torchlight, this would appeal a lot to all those VLGers who (I think) generally avoid MP. In this update we've finished working on a parser that imports levelsets layouts from GUTS to our client. We're then using the imported data to create our navigation mesh to use as server-side collision checks. You're correct in that we've created a server and client relation, but we're not using the original Torchlight 2 client, we've coded a new one. Our current focus is a persistent world. Out of interest, could you elaborate on how a lobby based system could be done? Although I think the interest is in the form of a lobby based system over a Persistent World. Our current focus is a persistent world. Out of interest, could you elaborate on how a lobby based system could be done? You're partially correct, depends what you define a persitent world I guess. 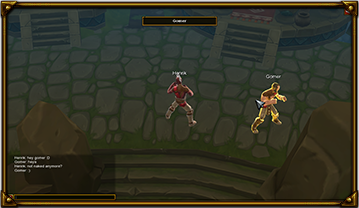 I was interested in what a lobby based system entails in terms of Torchlight 2. I would love to get into a discussion about pre-game multiplayer coordination (it's my pet peeve with TL2 at the moment! ), but you mentioned about defining "persistent world". I understand "persistent world" to be a game-world supported by a particular server where visitors to the server can jump in and out of that world as they please (sorry for more ignorance). In my mind, this will suit the lone-wolf player just fine. They can come and go as they please and, if they decide to do some group-play, they can arrange that on the fly (using just in-game chat maybe). From the above, one can argue that a lobby isn't really needed. But there may be groups of players who want to play as a group and would appreciate having on-server tools which help them coordinate themselves better. Such tools/features could be made available via a "lobby" analogy or some other pre-game peer-to-peer feature. So, as the developers, what is your understanding/vision of the "persistent world" you are building towards? A lobby, in respects to my response, would essentially be TL2 as it is now, a lobby interface. Login>>gamelist(the lobby(minus chat))>>gameroom, but tied to a server-client relationship(server side saving mainly). Basically Diablo 2 and 3. I was mainly echoing this thread. Before moving on, My definition of a Persistent World, a world that is ever-going and can change. It doesn't need to be "seamless". I think this is where people get confused. MMO doesn't define the world/game rules, just the scale of the player pool. Persistence doesn't define how the world is build just whether or not it changes and progresses like our world. Personally though, when I refer to a lobby, I mean it from a broad perspective. A Centralized Hub(not necessarily physically in the world) across a Persistent/Not Persistent World. Chat and ways to find other players looking to do something similar and be isolated from the rest of the world while still being part of it. Lobby would basically be how players connect and communicate. ^ So like a general chat that everyone playing the game can use to talk to each other (rather than a discrete, separate "lobby" area). My personal agenda is to see "lobbies" used to help guilds (or similar groups) coordinate themselves better. A "place" you can stop by on your way to or from "the field", to check who's there or whose been there or whether a group of friends plans to be online at some upcoming time. 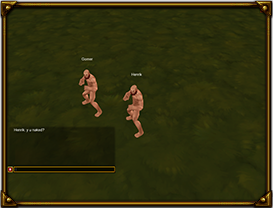 I see private (guild-only) chat, a guild message board, a server message board too (maintenance updates and such). In the months right after TL2's release, I used to go on online every night. I didn't find many friends online but then I only had a few dozen friends at the time. But when I reached the 2 and 3 hundred friends mark, I noticed the number of friends I'd find online had not increased. If anything, they even seemed to have dwindled. This saddens me, because IMO if there's any community which should be having a blast playing together online, it's this TL community! In b4 people from certain internet communities storm in here and try to get you to make it a secure server (at your expense, of course) so they can get an in game economy going in order to abuse it (and their fellow players) for forum golds. Been working on a specialized logo for the project. Your understanding is precisely what we're building towards. I agree that it would be great to have some pre-game multiplayer coordination but it needs to be done properly. Thanks! We haven't yet considered this option. I think the biggest thing that players wanted with Torchlight was the ability to play in a game where everyone had the same chance at the same things. Where consoles couldn't be used and game play skill would be required to gain your goods rather then the anger fit of typing a command in the console when it doesn't fall in your lap. Now Most players likely play legit, with the odd extra caveat thrown in when it suites. For instance I don't have time to farm as I mod most of my 'game time' away. So I give myself gold and then "legit" buy things with the gold. It would be nice to join a server where the 'give myself gold' wasn't an option and I would just simply **** it up and play as the game was intended. Now my main question for you guys is simple. How many people can be in the game at a time, in your persistent world. You could build your game in one of two ways. There is 1 instance of the world, and everyone is moving through that instance together, constantly effecting the exact same instance of the game, much like WOW for instance. Walk through a dungeon and find random player bashing on monsters. Obviously in this setup you would need monsters re-spawning much like a MMO does. and depending on your servers, it would likely work just fine. 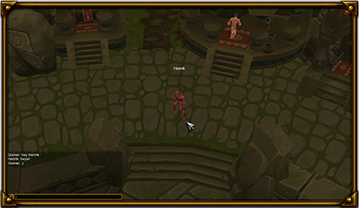 The other way is to have a lobby system that people log into , much like diablo 3, where they connect to their characters. Then they browse a server list of 'shards' that have been created and join them and play individual instances of your "persistent" world. In this sense its persistent based on the character, and any changes you make. It would be more of a diablo3 secure server then a true MMO. BUT MMO is a muddied word these days. For instance the original guildwars used both concepts. You had your constantly running cities but private dungeon instances. Where WOW goes full persistence, and games like diablo 3 only connects players through a lobby chat, and server creations where their characters are report-ably 'safe from hacking' and persistent within their own progress. Most people will think of the Diablo 3 set up when they consider private servers. I played Mythos alpha and Diablo 3 and Guildwars 1... They all hold their bonus's, and in the end it revolves around the restrictions of your servers and software. which of the three styles were you guys aiming for? You bring up a very relevant question about something that we felt could be easily misinterpreted. We're building towards your first interpretation of a persistent world. While we know our server can hold a great amount of players, we try to avoid giving out numbers because you simply never know before you stress it, but I can say that it's in the hundreds. Even though this is our initial choice, we're open to change, we're creating this for the community's satisfaction after all, while it remains an educational project as well. Hope this clarifies what we're aiming for. In this update we're previewing pre-alpha version 0.0.2. Check out the changelog below to see its full content. • Layout loader for loading maps from GUTS editor. • Navigation mesh generation from maps. • Support for wide-screen resolutions. ****, why haven't i noticed this thread before? Awesome. I see your greatest obstacle not in how many people can be online at the same time, as scaling server architecture will take care of that, but in how you will deal with 50, 100, 200, 500, 1000 people on the same screen. That is largely the biggest problem in top-down isometric MMOs. Channeling - creates an instance of the same world/zone allowing only a certain number of people in the instance. Can still have the same issue however. Phasing - A form of culling where the client only renders the closest players/monsters or uses some sort of priority filter, like group members are always seen, then guild members, then friends, then closest players. 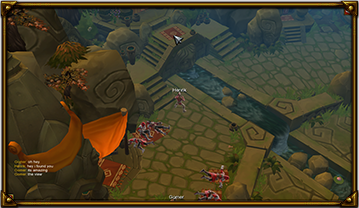 Level design - Design the levels in such a way that it discourages players from grouping up in large numbers. If you intend to do open world PvP then how you handle this issue will be very important. I wish you luck and will keep an eye on your work. Well im officially hyped up for this, keep us posted guys! 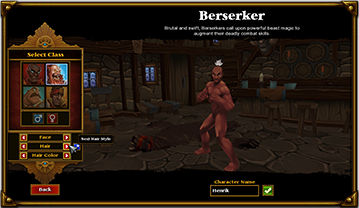 In this update we're previewing pre-alpha version 0.0.3. Check out the changelog below to see its full content. • Wardrobe support for clothes. Thanks! Hopefully more people notices this thread. Thank you! 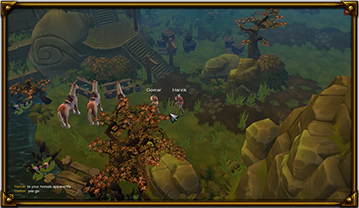 We've previously discussed this subject internally and decided to start by improving the level design to support larger groups of players, especially farming zones. Thank you for the update Henrik! Looking better all the time! Ofc there is interest on it! that may just be AMAZING! Quite an ambitious project, I'll give you that. As someone who understands jack **** from this stuff I can only wish you the best of luck and I hope you don't lose interest in it as it's most definitely gonna reel in attention once it's publicly available. Cheers! 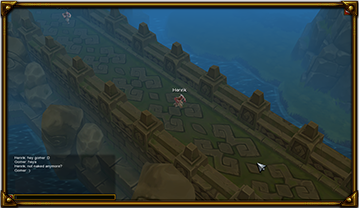 Will there be a scripting system to make more complex/detailed skills/interactions/quests/UI/etc? What platform does the server run on? What kind of database is being used? In this update we're previewing pre-alpha version 0.0.4. Check out the changelog below to see its full content. • Chat system overall imrovements including colors and line-fading. • Support for animated generic models. • Layout loading on login scene. • Client support for Mac OS X. • Overall improvements and changes (Client/Server).